Drum Expo 2013: In 1883, Friedrich Gretsch launched the Gretsch company in a modest shop in Brooklyn, New York. Since then, Gretsch has evolved through a rich and distinctive history. The bonding and timeless element for drummers has been, and continues to be, "That Great Gretsch Sound". In the studio, Gretsch Drums earned the reputation as the drum sound - demanded by professional studios and producers and heard on many classic records. 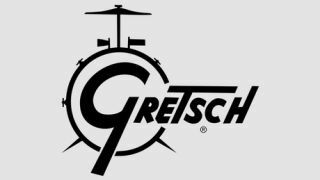 Gretsch Drums have been played and endorsed by drumming legends such as Max Roach, Tony Williams, Charlie Watts, Taylor Hawkins and Tre Cool among many others. Today, Gretsch Drums offers a full range of products that serve the needs of every drummer at every level. Timeless… since 1883. Proudly crafted in Ridgeland, South Carolina, USA Brooklyn drums were developed with a nod to Gretsch heritage and the flagship USA Custom. Click here to read about the Gretsch Drums USA Brooklyn Series. First introduced in 2002, Renown Maple quickly became the Gretsch workhorse. The range has been re-styled for 2013 in four configurations and four colours. Click here to read about the Gretsch Drums Renown Maple 2013. Developed in conjunction with rock icon Taylor Hawkins, Gretsch is proud to introduce a brand new signature series snare drum that bears his name and delivers the performance Taylor demands. Click here to read about the Gretsch Drums Taylor Hawkins snare drum. For more information, head to the official Gretsch Drums website, or connect with us on Twitter, Facebook and YouTube.